Contact Kendall Honda Acura today for information on dozens of vehicles like this 2019 Honda Pilot Elite. When you purchase a vehicle with the CARFAX Buyback Guarantee, you're getting what you paid for. This is a Certified Honda Pilot, which means it has been thoroughly inspected against a set of stringent standards. Only vehicles that pass this inspection can be sold as Certified. In their original incarnation, SUVs were chiefly owned by folks who valued utility above sport. Not anymore! The Honda Pilot Elite redefines the SUV and makes the perfect all around family companion. There's a level of quality and refinement in this Honda Pilot that you won't find in your average vehicle. No matter the varying terrain or weather conditions, this all-wheel drive vehicle will help you reach your destination safely and securely in a well-appointed cabin with many features found on cars twice the price. At Kendall Honda, we know not everyone can fit a new Honda SUV in the budget. So, we carry a large inventory of affordable used SUVs in Eugene. You can shop our selection of used Honda SUVs and SUVs from a myriad of automakers. With a variety of options, we’re sure you’ll find something at our Eugene used SUV dealership that fits your budget and lifestyle. We also serve the Florence, Cottage Grove, and Junction City areas. While you’re here, visit our Honda Finance Center and let our financial experts help you apply for a Eugene auto loan. You can also save time at the dealership by filling out our online finance application. You can also apply for a free car appraisal to find out the trade-in value of your current vehicle by filling out our trade-in form. Are you not sure what kind of SUV you’re looking for? Come by our used SUV dealership today and let our experts help you shop our inventory of used SUVs for sale in Eugene. We have something for every lifestyle, budget, and family size. Are you looking for something equipped to handle tough off-road terrain, or do you want to easily navigate Oregon winters? As your Eugene used SUV dealer, we offer SUVs equipped with AWD or 4WD and will easily take you anywhere you want to go. If you’re in the hunt for a small SUV, take one of our sporty crossover SUVs for a spin. We’re sure you’ll love the way they drive. If you need more cargo space for your weekend adventures, a full-size SUV could be what you’re searching for. Be sure to shop our 7-passenger SUVs that come equipped with a third row for extra seating, as well. We’d love to help you find your perfect used SUV in Eugene. 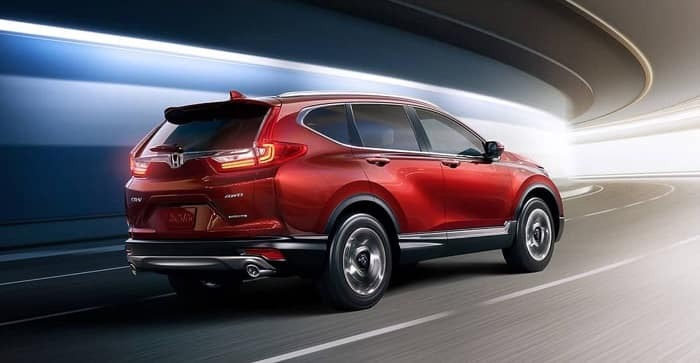 No matter if you’re in the market for a compact SUV, midsize SUV, or full-size SUV, Kendall Honda is the used SUV dealer you’ve been looking for. Contact us online or come by today to shop our used SUVs in Eugene.